This is Part Two of my review of Beth Moore’s September 13, 2014 Living Proof Live Simulcast streamed from Fort Wayne, Indiana. You may read Part One here. I recommend reading them in order. This part of my review takes a look at Beth Moore’s problematic practices of Bible interpretation. The kinds of problems that exist are the practices of eisegesis, proof texting, and the allegorizing of the scriptures. I became aware of these problems when I first grew more familiar with her and her ministry back in August. If you have been following my posts about this you might remember that I decided to learn more about her because our local church was going to be hosting a Living Proof Life Simulcast. Since I had only heard her name and was unfamiliar with her material, I decided it might be a good idea to check things out. I did some research which lead me to articles that listed a number of problems including those in the Bible interpretation category. I encourage you to do some more reading beyond this series. There are lots of articles to examine. They have been written by many different people who have concluded that there are problems that raise real concerns. During the simulcast, I waited to see how Mrs. Moore would do in the area of Bible interpretation. As it turns out, she did fall into some of these same practices again. It happened when she taught from three different sections of scripture: Acts 16:6-15, Luke 15:1-10, and Isaiah 28:16. In this post, I will go over what she taught from them and show how her teaching was not in line with proper Bible interpretation practices. The following examination of Mrs. Moore’s teaching is an example of the level of scrutiny that serves us well when considering a teacher’s words. We need to look closely and think through the things that we hear. Failure to examine our teachers closely can cause us to miss out on the true meaning of God’s word or accept and believe things we should not. The main errors that you will see below are the failure to actually teach what a verse means and to instead build another meaning around it or from it. In other words, Mrs. Moore took certain words from certain verses out of their context and then put them into a completely different context. These errors deprive Mrs. Moore’s listeners of much of what is actually in the verses. It will take some time and effort to get through this post to see how Mrs. Moore mishandled the word of God, but it is worth it. What is learned here will hopefully help you to judge her work in the future and the work of Bible teachers in general. It will be a good exercise for sharpening discernment. If we see these practices being done by any teacher, we should look elsewhere for instruction. I want all my sisters in Christ to have good, trustworthy teachers of the word. Recently, a young Christian woman told me that she noticed these errors when she first began listening to one of Mrs. Moore’s recordings from iTunes. She said that she listened for a bit and then looked up the verses that were used to see them in context. She noticed that they did not mean what Mrs. Moore said they meant. This woman decided to discontinue listening to the album because she knew that was a bad practice and expected more from her teachers. It is my hope that as others become aware of these practices of Mrs. Moore, they have a similar response and choose a more proficient teacher of the word to sit under. If I become aware that Mrs. Moore learns to avoid these errors, I will gladly report it. The first section of scripture that Mrs. Moore read from was Acts 16:6-15. It is about Paul’s journeys to the Phrygian and Galatian region, Mysia, Troas, and finally to Philippi in Macedonia. In Philippi, Paul preached to a group of women. One named Lydia became a believer. It was the account of Lydia that Mrs. Moore focused on. Now I am not against applying the scriptures personally and putting ourselves “in the story” if doing so does justice to the meaning and context. In fact, doing so is why they can have meaning for us. For example when we read that “For God so loved the world, that He gave His only begotten Son, that whoever believes in Him shall not perish, but have eternal life” (John 2:16), it is proper to consider ourselves one of the “whoevers” who will not perish if we believe in Jesus. Additionally, we can trust in many of the promises in the Bible given to believers because we know they belong to all believers. These things are proper, but it is not proper to put our names and information in verse 14 and then teach something completely off topic. I will get to what she taught in a moment. A correct application would have been to teach what we can learn about our own faith from this passage. There is something quite beautiful to learn here namely that it is God who opens hearts to respond to the gospel. But that is not what she taught. Nothing of the sort was mentioned. I see this as a great loss because this important truth was not shared. Instead, the way that Mrs. Moore put us “in the story” didn’t fit. What did she teach? 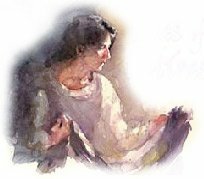 Drawing from the word “respond” in verse 14, she taught that God wants us to “respond” to revelation that we were going to receive at the simulcast. This was a gross misapplication of the verse and is not the proper way to handle the word of God. Let me explain more about what was actually taught. During the conference there were quite a few references to revelation and receiving “a word” from God. Mrs. Moore started the simulcast by saying that “God has a word for you.” If you read Part One of my review of the simulcast, you might remember that seven points were taught that day. The first one had to do with hearing from God: “We are one gathering of many women yearning for God to speak.” It is my understanding that the word from God and the speaking of God was a reference to personal revelation that would occur during the conference. (More about this in the next post.) Revelation is something Mrs. Moore actively seeks and claims to receive. She said revelation is good and that “we have to have revelation”. She also said that we go to the Lord and say “Lord, reveal yourself, reveal yourself, reveal yourself.” She said we also say, “I wanna receive, I wanna receive, I wanna receive.” But she said, the main focus of the simulcast was not just on revelation. It was on something that she felt the Lord had put on her heart to say to us. She said God is saying, “I am revealing Myself plenty to you, I am looking for you to respond.” She then put this question forth: “What will you do with what God says to you today?” In other words, will we respond to the personal revelation we receive at the simulcast? This is where Acts 16:14 came in. She used that verse as biblical support to show us that God want us to respond… to personal revelation. That is not what Acts 16:14 is about. She also taught on the part about Lydia’s heart being opened. She spoke completely off topic from the verse and said that God is the one who binds up the broken hearted. She said that sometimes we stay too long with our heart bound up after he has bound it up. She said there comes a time when we need to open our hearts for healing. Drawing from the word “opened” in verse 14, she said God is calling us to put our hearts wide open. Somehow a verse meaning that God opened Lydia’s heart to believe the gospel got changed to mean that we believers need to open our long bound up hearts. This is so far from the meaning of Acts 16:14. 1) As stated above, the meaning and context of the verse were ignored. The responding that we were called to do according to Mrs. Moore’s teaching was not to the gospel as Paul was sharing. No, as stated above, we were called to respond to personal revelation that we wouldl receive that day at the simulcast. Additionally, it was not the gospel that our hearts needed to be opened to, it was something else. We needed to open our hearts that had been held closed too long after being bound up by God. These practices of not teaching the meaning, ignoring the context, and creating something else in their place are reoccurring in Mrs. Moore’s material. These are not the practices of good Bible teachers. This is part of why I do not consider her to be a trustworthy teacher of the Bible. 2) Though the cause behind the opening and responding in verse 14 was God, she said we need to respond and we need to open our hearts. The cause was changed, again ignoring the context. 3) Though the opening and responding in verse 14 happened to a non-Christian, Mrs. Moore changed the story completely and applied them to us who are already saved. The way this verse was handled was not in line with sound practices of interpretation. The next section will look at Luke 15:1-10. The same types of errors were made with it as well. Luke 15:1-10 contains the account of two parables. It starts with the Pharisees and scribes grumbling against Jesus because he receives sinners and eats with them. Jesus proceeds to instruct them through the parables. The first is about a shepherd who left his ninety-nine sheep to look for one that was lost. 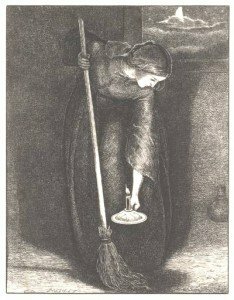 The second is about a woman who swept her house looking for her lost coin. Both the shepherd and the woman rejoiced when they found what was lost. Jesus taught that in the same way, there will be joy in heaven over one sinner who repents. When Mrs. Moore taught from this selection of verses, she did the same thing that she did with Acts 14:16, she put us “in the story”. She focused on the parable about the woman with the lost coin and brought us into her house. We were told that it was a small house because it was lit by one little lamp. She said it was “just you” in this one house. 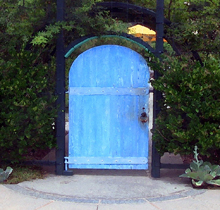 The purpose appeared to be so that she could apply imagery from the parable to us personally. Again, this would be ok if she did it in a way that fit the context, but she did not. As Mrs. Moore continued, we were told about a survey that she had sent out earlier that week. One of the questions asked was “What is something you feel you have lost that you wish you could get back?” She said that maybe we don’t care about a lost coin, but there might be other things. She shared some of the answers from the survey including innocence, virginity, and dignity. Then as a means of encouragement she said, “There are a whole lotta things we have lost that we can indeed have back in Jesus’ name.” She told us that if we couldn’t get it back (like virginity), we can trade it for something else. This teaching was based on the lost coin of verse eight. Since that verse mentions that something was lost and found, that was enough to teach that we can get things back that we have lost. 1) Unlike her handling of Acts 16:14 and the account of Lydia in which she did not teach about the actual meaning of that verse, she did touch on the meaning of these verses later in the simulcast. 2) However, like her handling of Acts 16:14, she taught something from these verses that ignored the meaning and context. The parable of the lost coin was taught by Jesus to teach about the joy in heaven over one lost sinner who repents and to answer to the Pharisees and scribes objection to him spending time with sinners. It is not correct to take the imagery of the lost and found coin and create a completely different teaching around it. Why it may be true that we can get things back that we have lost through the grace of God, it is not correct to teach that from a verse that has nothing to do with that. Good Bible teaching avoids this type of error. The next part of Mrs. Moore teaching on these verses was based on the sweeping in verse eight and lead up to Point Four of the seven she shared during the simulcast: “Sometimes a woman needs a clean sweep to find what she’s missing.” At the beginning of this segment, she said that if she asked us what we’ve lost, we might not know. This section was an encouragement to sweep out the clutter in our lives to find what was missing. She said we may say, I have a good man, a good job or other things; but something is missing. She said we might also say “Lord, I have no idea what I am missing. There’s so much clutter going on here. I got so much happening, so many people happening, so many things happening – SWEEP IT OUT!” She followed with, “There comes a time when ‘sweep and you will find.’” We were encouraged to make time every day, set everything aside (sweep it away) and spend time with Jesus. 1) While it may be a good encouragement to sweep everything aside and make time for Jesus, it is not correct to teach that from these verses. It is not proper to use imagery from a Bible verse and apply it in a completely different way from the original meaning. A Bible teacher should not forgo solid Biblical interpretation for giving good advice. 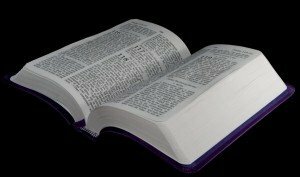 Either separate the advice from any Bible verse or teach Biblical principles from verses that can be applied correctly and practically. 2) This type of teaching practice is erroneous, harmful, and dishonoring to the word of God. Bible teachers including Mrs. Moore who practice such things are not trustworthy. They do a great disservice to their listeners and teach that it is ok to ignore context and build a story around a word or action being done in a verse. That is a very bad lesson. She taught that when she is panicking she is “bled of faith”. She said she is going to have panic or faith. She shared how she has woven this verse into her belief system so when she starts to panic, she can call on faith and not go there. While the teaching that faith can arrest panic is helpful and true, is that actually what Isaiah 28:16 is about? Let’s take another look at Isaiah 28:16. Here it is from the NASB. koosh A primitive root; to hurry; figuratively to be eager with excitement or enjoyment: – (make) haste (-n), ready. The way Mrs. Moore used the last part of Isaiah 28:16 ignored this important meaning of the verse. It is about one believing in Jesus or the promise of his coming. A good Bible teacher needs to be thorough and make sure the meaning and context are being respected and represented well. This verse beautifully points to our Lord and faith in him. It really isn’t about maintaining faith to arrest panic. Beth Moore’s problematic practices of Bible interpretation can be seen in different places within her material. The simulcast simply served as an example of the problems that can also be seen elsewhere. The errors that she makes including eisegesis, proof texting, and the allegorizing of the scriptures are documented by various sources online. Again, I encourage you to look into this further and decide if she should be considered a trustworthy teacher in light of her regular problems with interpretation and verse usage. Choosing a Bible teacher is an important decision. We must have faithful teaches of the word. When we sit under them, they exert a certain degree of influence over our understanding of God, the Bible, and our faith. They must be tested and continuously retested to ensure that they teach what is true and teach well. We must see that they do their work fearfully to God’s glory and for our benefit. A good teacher studies the word, prays about its meaning, and tests their understanding against the rest of scripture and the centuries of Christian understanding. They do not ignore context. They understand the seriousness of their job. Ladies, if you are still with me and use Mrs. Moore material, I encourage you to test what you read or hear. Check out the verses that she uses. I know this takes work, but it is so important. Since she is a Bible teacher, we must hold her to a high standard. If we are trusting her to teach God’s word, then we are right to expect her to be faithful to it. We should be hearing and learning about the true meaning of verses not an application that doesn’t fit. Anything less cheats us and does not honor the word of God. It should concern us greatly when a teacher does not handle the scriptures correctly. It is understandable that mistakes be made from time to time, but what I have seen is a pattern of the same types of errors. That’s why I would not use her for my own purposes nor recommend her to others. I do not believe she is a trustworthy teacher. I know many ladies like Mrs. Moore, and it may not be easy to accept that there are problems. I am praying for those who may be struggling with this. Please see my Contact page if there is any way I can assist you. Very well written. I have actually done many of Beth’s studies, facilitated study groups around them and have seen her present in person, but have always scrutinized what I am studying. I love her studies, but agree that you need to do your homework and read with much discernment. I have not always agreed with some of the liberties taken with interpretation and have always pointed this out to the women I study with. Thanks for sharing your views. Thank you, Renee. The women that you study with are surely blessed by your discernment. Thanks for all your hard work in detailing this. It truly is disturbing that Beth Moore uses the Bible out of context to teach psychology. She would be better as a councilor than a Bible teacher. Maybe some good things to say to help people, but not in this context. I hope she will perfect her methods since so many people listen to her. You’re welcome. Thank you for reading and commenting. I hope she improves her methods too.